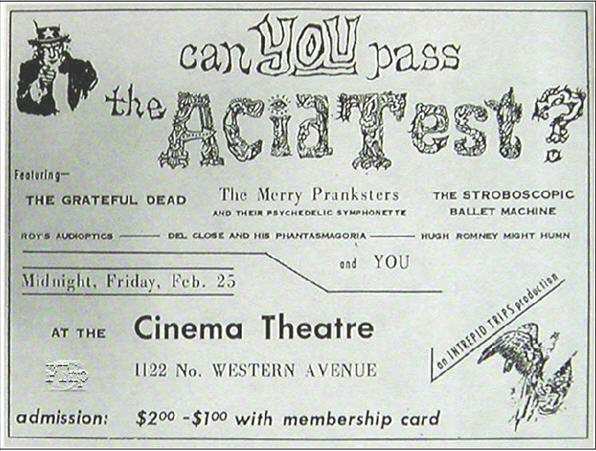 Today marks the anniversary of the Los Angeles Acid Test held at the Cinema Theatre. This event was not the first one. That had happened on November 27, 1965 at Merry Prankster Ken Babb’s place. There had been others between and several more would follow until the “acid test graduation” in October. Of course, the Prankster’s 1964 cross-country bus trip could be described as an acid test on wheels and some evidence exists that the graduation in October was not actually the last. While the idea of recording events part of the Pranksters’ style (filming for example), the notion of an historically accurate portrait was not. The music, the sounds, the lighting, the people were all part of whatever happened. The present counted. 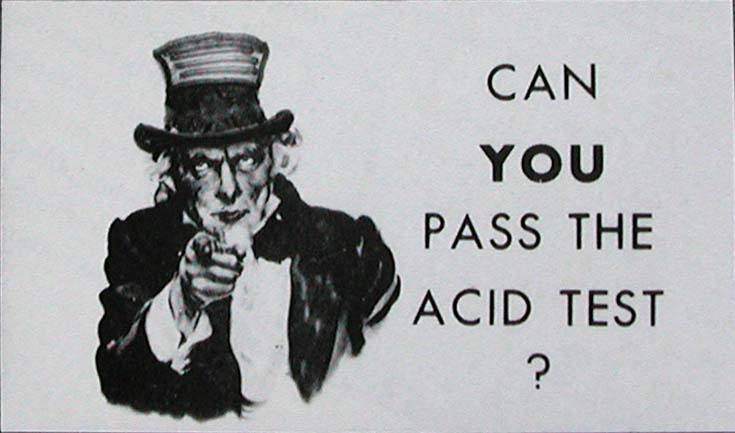 It is understandable, then, that little is known about this particular acid test. We do know that the Grateful Dead played. These tests were where the Dead learned to spread their wings both as performers and musicians. You can click on the link below to hear this one, but as thorough as the Dead and Deadheads are about the particulars of each show, such information about this one is lacking. In fact, the Internet Archive site has the qualifying notation: reportedly this date, plus other ’66. The recording is magnificent and one wonders whether the atmosphere at an acid test would be conducive to such quality.